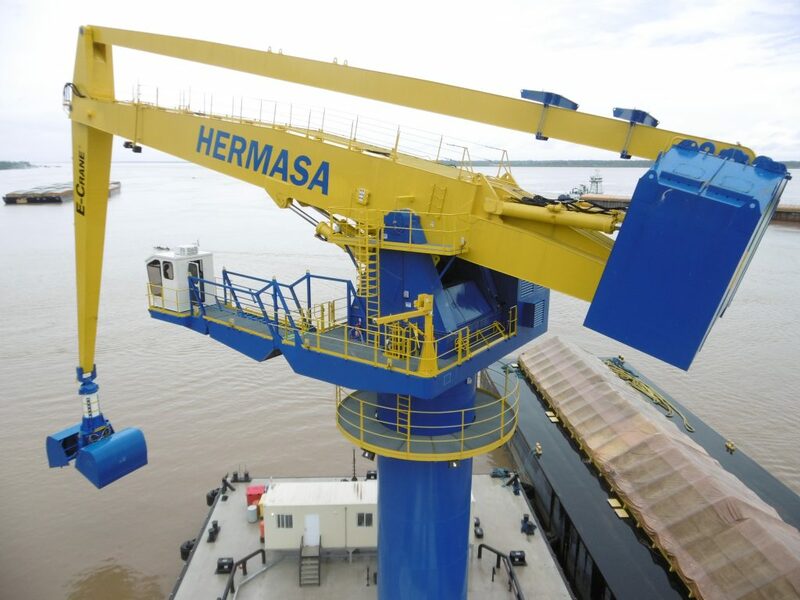 On a barge anchored in the middle of the roaring waters of the Amazon River, a crane manufactured by Belgium’s E-Crane is hard at work loading and unloading grain and soya beans. Motors manufactured by Hoyer ensure that the crane is able to handle the heavy loads and fast pace. 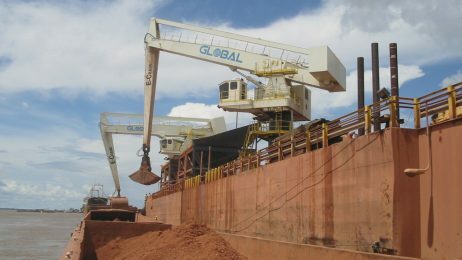 All around the world ‒ from the bitter cold of the Polar Circle, to the stifling heat of the Amazon River ‒ hydraulic cranes manufactured by E-Crane are at work to handle scrap iron, move grain, unload coal or dig up mud from the ocean floor. 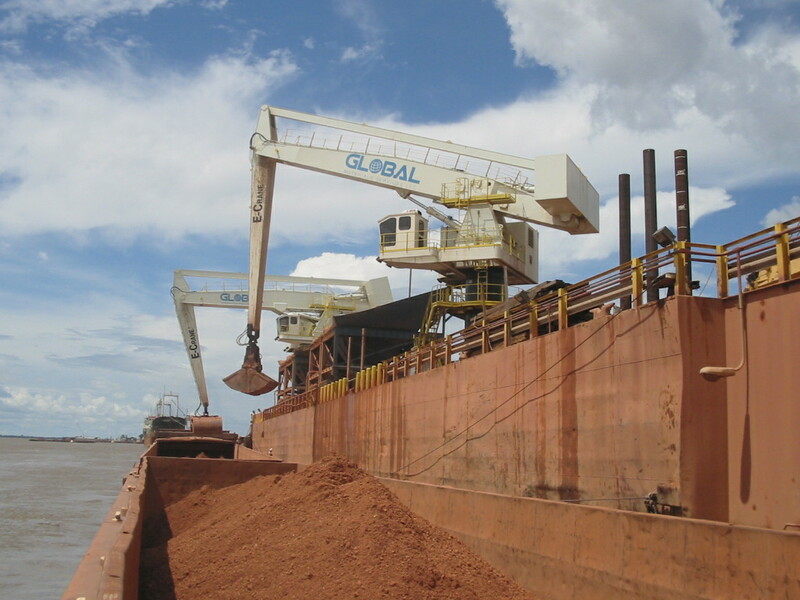 Such work often involves heavy loads and demanding, around-the-clock conditions. Since 2012, E-Crane has relied on Hoyer as a regular supplier of electric motors. 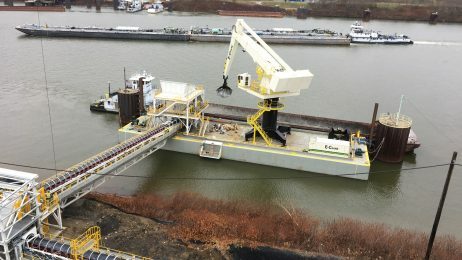 Hoyer recently delivered a powerful and custom-manufactured 630 kW motor for use in a barge-mounted crane, which E-Crane delivered to a client in Brazil. 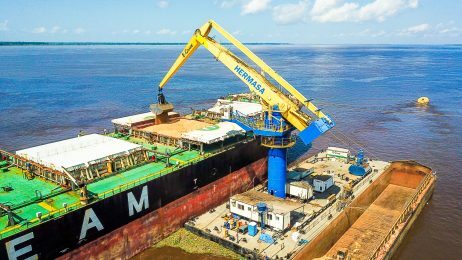 From its position in the middle of the Amazon River, the crane will move grain and soya beans from broad river barges into Panamax sized ships. E-Crane uses motors from Hoyer for the entire crane system, which comprises the main motor and smaller applications such as oil pumps and automatic lubricating systems. 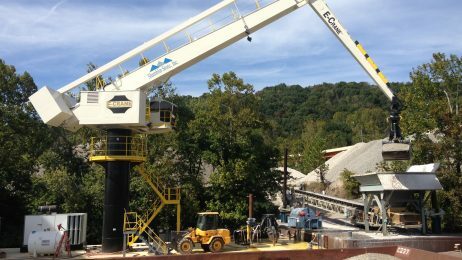 For E-Crane, it was essential to select a supplier that could document the necessary level of quality and dedication in order to minimize the need for service and the risk of breakdown. A close collaboration between Hoyer and E-Crane, meanwhile, has ensured a high degree of flexibility and rapid communication. “We chose Hoyer as a supplier because they meet our expectations in terms of service, quality and price. Our long-term relationship will only grow stronger over time, and we’ve found that we can get quick and correct responses to our queries,” says Mr. Vermeyen. Based in Adegem, Belgium, with subsidiaries in Holland, Indonesia and the U.S.